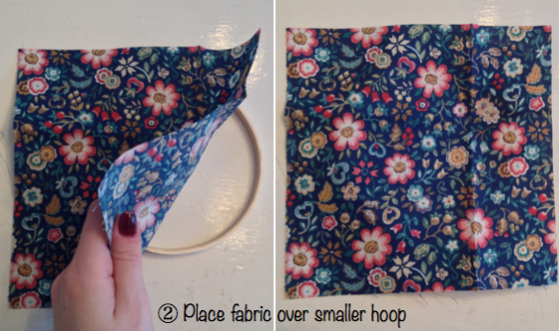 Once you choose your hoop, fabric, design, and colours, place your fabric on the hoop. 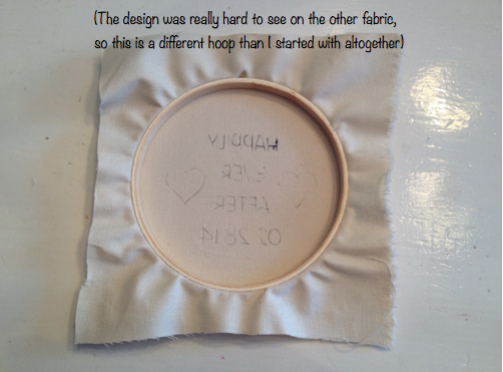 I like to draw mydesign on the back of the fabric (in reverse) before starting. Normally I draw or print something and transfer it by colouring over my design in pencil and rubbing the back so the pencil transfers onto the fabric. 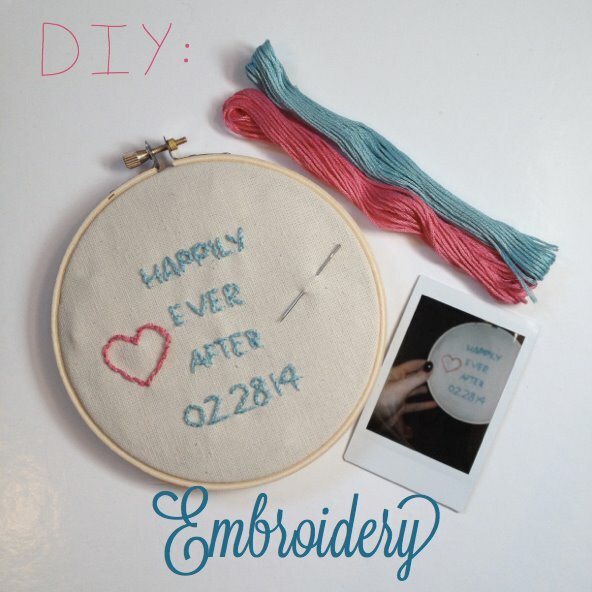 Thread your needle and tie a knot, just like you would if you were sewing. 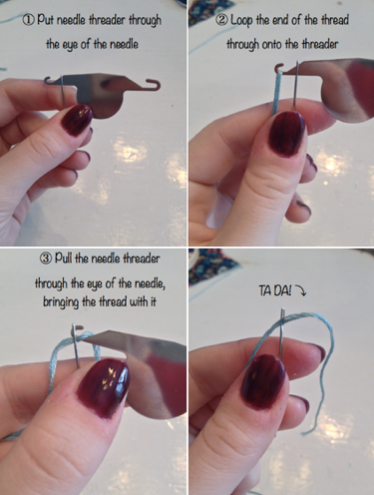 Pictured is the needle threader method, which saves time and sanity! 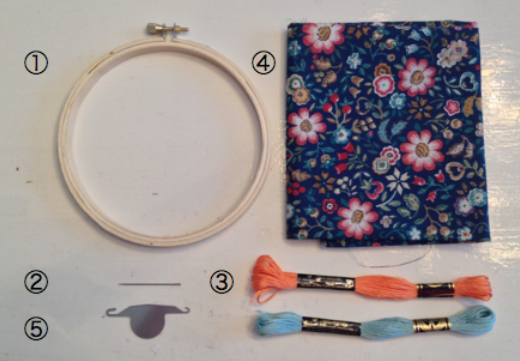 Begin to create your design, as if you were sewing, pulling it through to the back of the fabric. 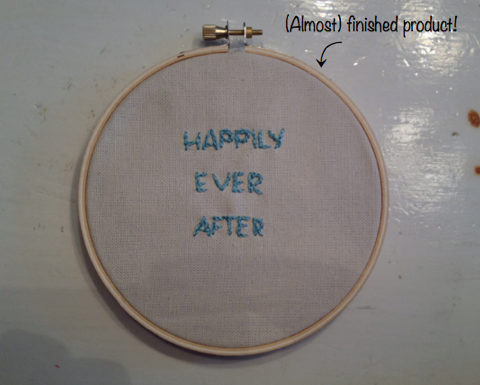 You will be creating a solid line in the front (which makes a dashed line in the back of your work). 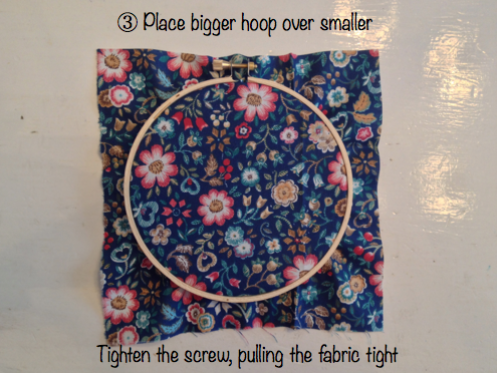 In order to do that, you will push your needle that is at the back of your hoop through the line of thread you created in the front. 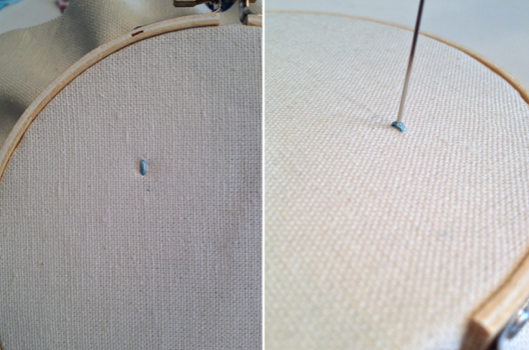 Continue doing this (sewing your design in the front and coming back through the middle of your thread lines from back to front) until your design is complete! Make sure you are always doing letter/picture changes in the back (i.e. 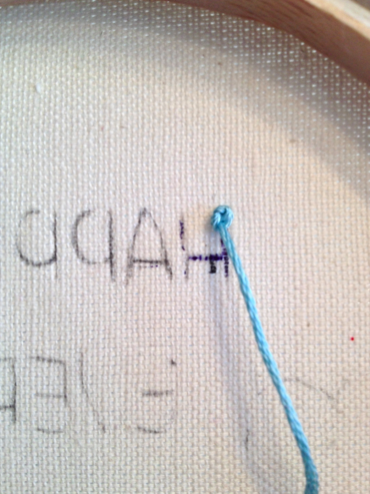 so you don’t have trails of thread in the front of your work between H and A) and have fun!